Phonak Hearing Centre Hong Kong Limited first started on 25th of November 1986 as a joint venture (subsidiary company) between the internationally renowned hearing instrument manufacturer Phonak AG, Switzerland and Asia's leading audiologist Mr. KAM Ping-kay. In early years, Phonak (Hong Kong) Hearing Cente situated at the Central Ruttonjee Building with two testing rooms, one earmould lab, a technical repair area and four team members. With an increase in demand for services, Phonak Hong Kong Centre was later relocated to a larger premises at Asia Standa rd Tower in Central. The Centre is now equipped with the most advanced testing equipment including diagnostic clinical audiometers; middle ear analyzers; sophisticated hearing aid analyzers; real ear measurement systems; computerized digital hearing aid fitting system; comprehensive earmould and In-the-Ear hearing aid manufacturing equipment; an efficient hearing aid repair station as well as audiometer calibration instrument. In 1995, Phonak Hong Kong embarked on another wave of expansion and set up a branch on 24th February, 1995, in Tsimshatsui to serve the hearing impaired population from Kowloon and the New Territories and to accommodate additional staff from the marketing, accounting, audiological, aural rehabilitation and technical departments. From a team of 4 to a staff force of 38 inlcuding audiologists, engineer, ITE production manager, technicians, speech consultant, marketing and sales manager, accountants and customer services co-ordinators, such a big leap represented a leap for more client satisfaction. Room 1610, Nan Fung Centre, 264-298 Castle Peak Road, Tsuen Wan, NT. Phonak (Tsuen Wan) Hearing Centre was set up on 28th August 2004. The centre strictly follows the international standard environment necessary for the performance of diagnostic audiological assessment and fitting of hearing aids. It is equipped with an acoustic sound proof room with very low ambient noise, advanced GSI 61 diagnostic audiometer, GSI Tympstar middle ear analyzer, Cybersmith VRA for Paediatric hearing assessment and the most advanced Fonix 7000 Hearing Instrument Anaylzer. Room 1716, East Point Centre (Old Wing), 555 Hennessy Road, Causeway Bay, HK. The centre occupies an area of 684 sq. feet and strictly follows the international standard environment necessary for the performance of diagnostic audiological assessment and fitting of hearing aids. It is equipped with an acoustic sound proof room with very low ambient noise, advanced GSI 61 diagnostic audiometer, GSI Tympstar middle ear analyzer, Cybersmith VRA for Paediatric hearing assessment and the most advanced Fonix 7000 Hearing Instrument Anaylzer. KAM (Jordan) Hearing Health Centre was set up on 27-April-2009. Our goal is to provide quality hearing aids & assistive listening devices that meet hearing impairment’s unique and special needs while creating independence and increasing the quality of life everyone deserves. “We Care About Your Hearing” together with "Barrier-free communication" is not just our motto, it is the core of our philosophy to contribute to the well-being and happiness of society as a whole. At KAM Hearing Health, we understand the impact and importance of hearing in people's every day lives - that's why we also set our sights to provide knowledgeable & dedicated service. To provide professional care, ethical standards, honesty and integrity is what we commit to helping our clients. KAM (Macau) Hearing & Speech Centre was set up on 28th June, 2009. It is designed as a professional audiological, hearing aid fitting and rehabilitation centre, which adopts both professional- and consumer-oriented approach to provide geographical accessibility to our existing clients who reside in Macau, Taipa and Zuhai. 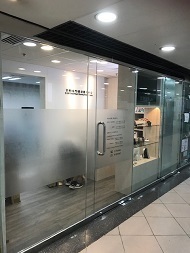 It is situated in a large premise near Kiang Wu Hospital with a testing room, a speech room, an earmould laboratory, a technical repair area and a total of five team members consisting of experienced qualified audiologist, Auditory-Verbal speech therapist, hearing aid consultants and customer services. The centre is well-equipped with the most advanced testing equipment including high-fidelity diagnostic clinical audiometers; middle ear analyzers; sophisticated hearing aid analyzers; real ear measurement systems; computerized digital hearing aid fitting system; real-life listening situations simulation system; comprehensive earmould and in-the-ear hearing aid manufacturing equipment as well as an efficient hearing aid repair station. The objectives of KAM (Macau) Hearing & Speech Centre is to arouse public awareness on the importance of professional audiological, speech and hearing aid fitting service through provision of high quality digital hearing aid instruments, multiple brands of assistive listening devices, ear care and protection products, Auditory-Verbal speech therapy to the hearing impaired population and general public. KAM Hearing Technology (Guangzhou) Co., Ltd.
Contact： 2005-2008 Room,Grandbuy Building( New Phase),18-28 XiHu Road, Guangzhou City, China .